Professor Guntae Kim of Energy and Chemical Engineering in his laboratory at UNIST. Their findings appeared in the the June 28th issue of the prestigious journal, Nature Communications. The commercialization of the ‘natural gas fuel cell’ has finally come to the fore, thanks to the recent development of electrode materials that maintain long-term stability in hydrocarbon fuels. Advantage of using this material includes that it uses internal transition metal as a further catalyst in a fuel cell operating condition. This breakthrough comes from a research, conducted by Professor Guntae Kim of Energy and Chemical Engineering at UNIST in collaboration with Professor Jeeyoung Shin of Sookmyoung Women’s University, Professor Jeong Woo Han of University of Seoul, Professor Young-Wan Ju of Wonkwang University, and Professor Hu Young Jeong of UNIST. Their results, published online in the June issue of the prestigious journal Nature Communications, have emerged as the promising candidate for the next generation direct hydrocarbon solid oxide fuel cells (SOFCs) technology. A solid oxide fuel cell (SOFC) is an electrochemical conversion device that produces electricity by oxidizing a fuel. SOFC is still subject to a fairly intense development for its unforgettable competitive benefits of long-term stability, a high fuel flexibility, low emissions, as well as relatively low cost. SOFCs are a possible next generation fuel cells, as they are capable of raising efficiency higher than 90% when using the exhaust heat. However, successful commercialization of SOFCs has been delayed due to its high production cost mainly related with the development of electrode materials in hydrocarbon fuel cells. 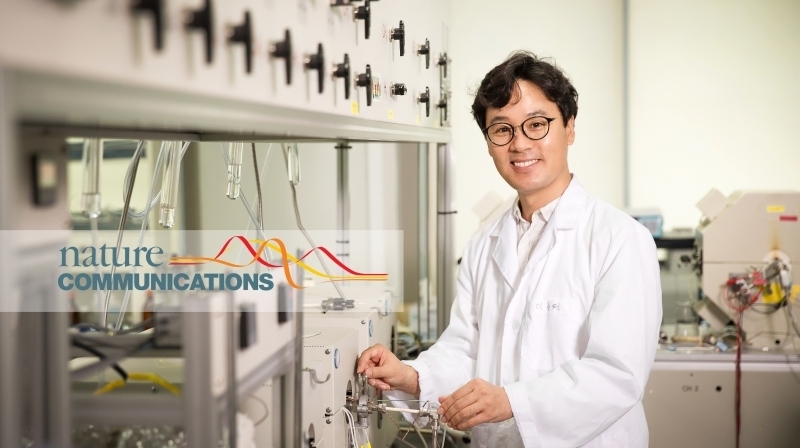 Professor Kim has solved the problem of securing hydrogen by developing a new anode material (catalyst) which can directly use hydrocarbons, known as natural gas liquids (LGLs) and LPG, as a fuel of SOFC. Using this newly-developed catakyst, SOFC can operate the fuel cell without converting the hydrocarbon into hydrogen externally. In the study, the research team has proposed that transition metals are exsolved from the new anode material in reducing atmosphere. Generally, the transition metals act as fuel oxidation catalyst in SOFC. 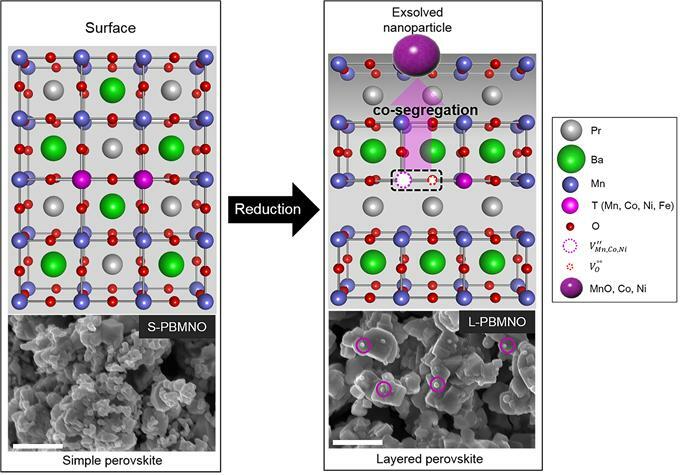 They also reported that the exsolved Co and Ni nanoparticles on the surface of the layered perovskite show good stability with no remarkable degradation. Moreover the single cell presents 1.2 W/㎠ in H2 at 800 oC, indicating that the performance is twice as high as that of the conventional electrode material (0.6 W/㎠). 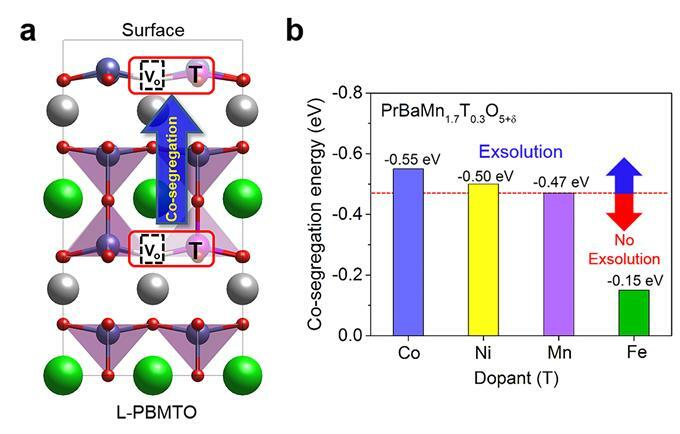 According to the research team, their findings provide a key to understand the exsolution trends in transition metals (Mn, Co, Ni and Fe) containing perovskites and design highly catalytic perovskite oxides for fuel reforming and electro-oxidation. The study has been supported by the Mid-career Researcher Program through the National Research Foundation of Korea (NRF), funded by the Ministry of Science, ICT and Future Planning. Ohhun Kwon, et al., “Exsolution trends and co-segregation aspects of self-grown catalyst nanoparticles in perovskite,“ Nature Communications, (2017).